Putin to Obama: Tossing Your Allies Under The Bus Is Not Enough! Someone has the measure of Obama. 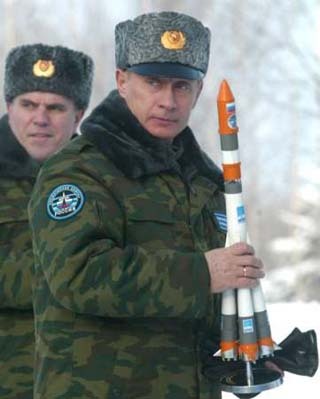 Vladimir Putin announced today that he wants the plans to America’s missile defence systems so that Russia can develop methods to counteract them. It wasn’t enough that Obama unilaterally threw Poland and the Czech republic under the bus by canceling plans to deploy a missile defense shield for Europe to protect against an Iran with nuclear weapons. Liberal fantasies never last long when confronted by real power politics. But we are now stuck with an ideologue in our highest office who is clueless when dealing with those who have their own best interests at heart. What could possibly go wrong? More at Sweetness and Light. 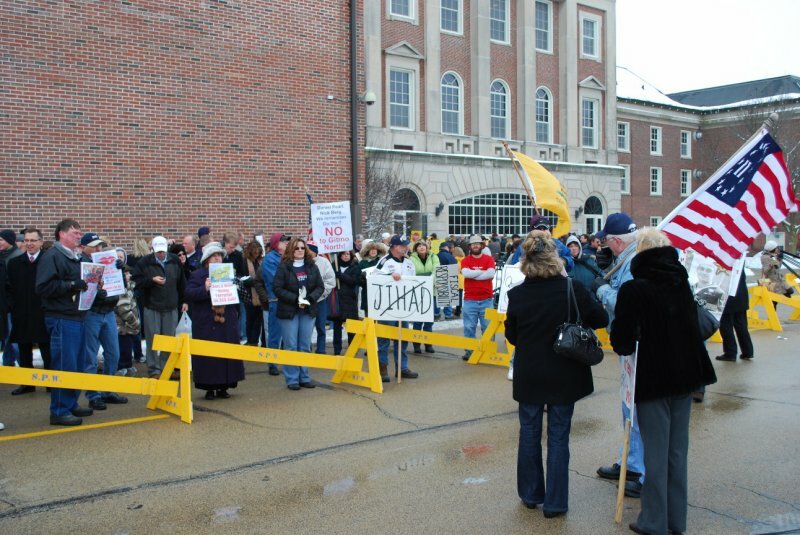 Patriots turned out to protest the transfer of Guantanamo detainees to suburban Illinois yesterday! 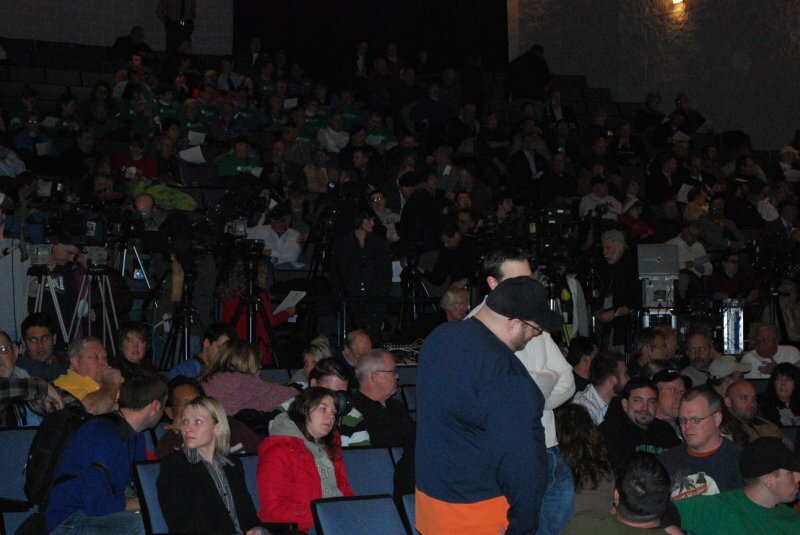 About 800 people today filled a high school auditorium 30 miles from the Thomson Correctional Center for the only scheduled opportunity for the public to comment in Illinois on the transfers. Boos and shouts of “lie” filled the auditorium earlier as state officials testified about the proposal before the 12- member Illinois Commission on Government Forecasting and Accountability. 911 Never forget has a report here. Illinois Review has links to related stories here. More media coverage here and here. Michelle Malkin has a posting here. Gold Star widow Autumn Letendre performs an original moving tribute! For more information on the Golden Star USA group please visit their website. Hey, Barack, you want to reduce our dependence on foreign oil? Try Drill Here, Drill Now! Give us the opportunity you are giving to Brazil by fronting them billions of our dollars to develop their offshore oil reserves! Now you want to give away billions more of our dollars to third world countries. You certainly have driven us further than we ever have before, to the brink of bankruptcy. America is being held hostage like Gulliver ensnared by lilliputian minds. Where are they going to house the gitmo terrorists in the United States? 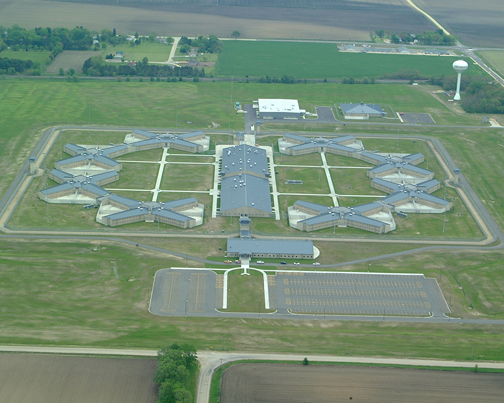 They have chosen a prison in Thomson, Illinois, and have announced that selection. Unfortunately, there need to be public hearings before such a decision is made by the Illinois General Assembly to sell the prison to the Federal government. Our friend, Blue Star Mom Bev Perlson, of the Band of Mothers, is leading the charge to oppose this decision. She is organizing a rally at 1pm on Dec. 22nd for the General Assembly Hearing at Sterling High School, 1608 4th Avenue, Sterling, Illinois in opposition to any decision to move the Gitmo detainees there. This rally is supported by the 9/11 Never Forget Coalition! Here is the White House background briefing, read the questions! Gateway pundit has the story! Here is the Video! 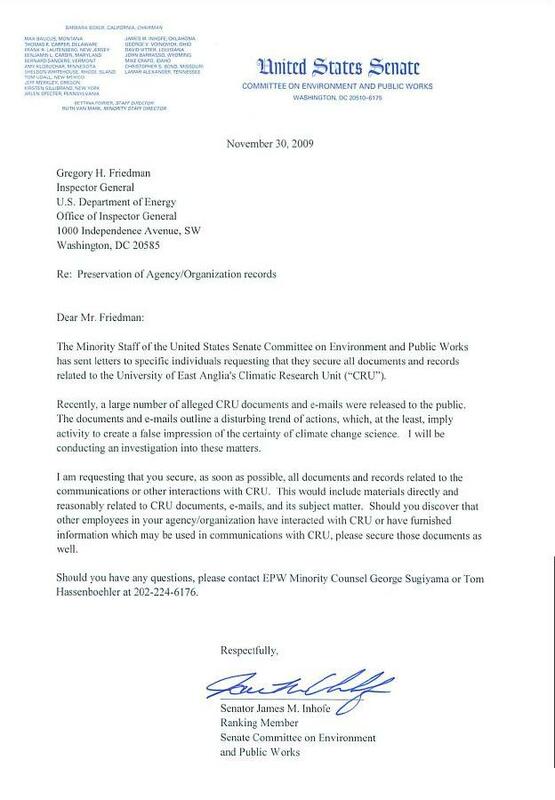 It’s not like rational folks didn’t see this coming. You can not appease your way to victory. Whatcha gonna do when the Mullahs Punk You! Our Gold Star Families returned tonight from Snowball Express 2009! And the Patriot Guard Riders were there to greet them! Here’s the Texas PGR entering Dallas Cowboys Stadium! Here are some behind the scenes photos of the PGR at the Stadium! Thanks, Mike! And a video of the Mesquite Rodeo! More of the Cowboys Stadium! Snow has arrived in the Hudson Valley! We had our usual contingent of patriots but we also were joined by a Navy mother and later an Army mother. The Navy mother, who is becoming a regular, told us that her son has been accepted into OCS and will report there at the end of his current cruise. He wants to become a Naval aviator. Our Army mom who has also been coming to the corner on a regular basis got a major surprise this week when her son, who is deployed to Iraq, showed up at home with almost 3 weeks leave. She couldn’t wait to bring him to the corner, which she did. While there, Jerry had to go talk to our celebrity opposition [Pete Seeger & The Moonbats] to tell them that he was proud to serve so that they would be able to voice their protests. They received him well! We outnumbered them again! Another victory for pro America! Proud Army Mom sent this video to commemorate Jerry’s visit! 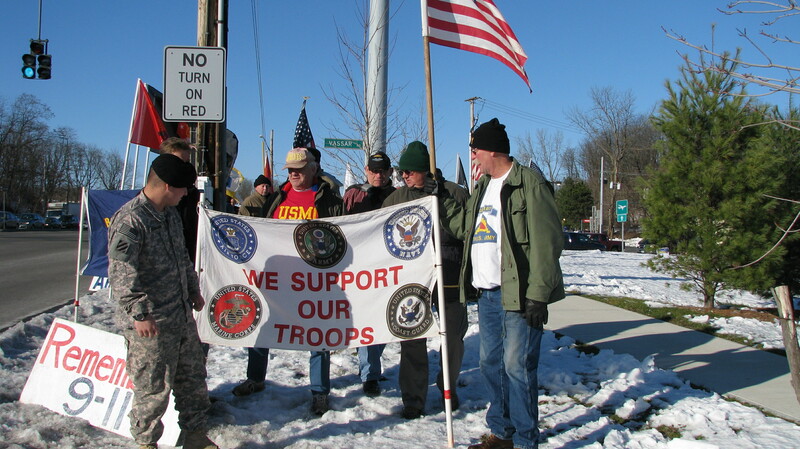 Note: The Poughkeepsie Troop Rally is a weekly event every Saturday Noon to 2pm on the southeast corner of Rte 9 and Vassar Road. Stop by and say hello to the veterans!